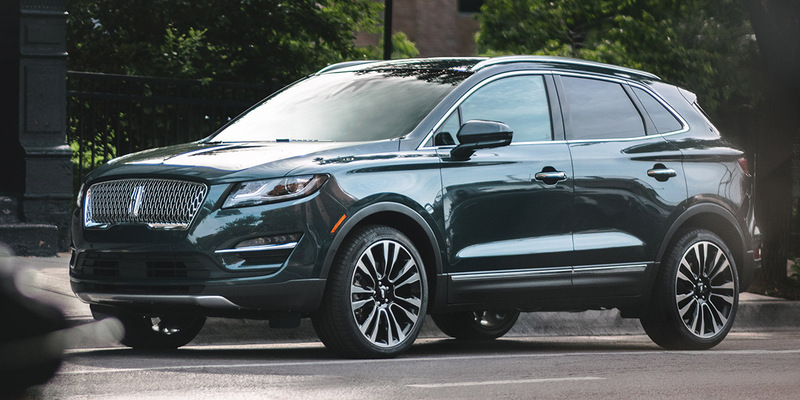 CG Says: The 2019 Lincoln MKC receives freshened styling that includes a new grille in step with Lincoln’s latest design theme. MKC also gains available pre-collision warning and automatic braking with pedestrian detection. Lincoln entered the premium-compact-SUV segment with the MKC, a new-for-2015 model that shared some of its basic design with the Ford Escape. Front- or all-wheel drive is available, and the base engine is a turbocharged 2.0-liter EcoBoost 4-cylinder that produces 240 horsepower. Offered on all-wheel drive models only is a 285-hp, 2.3-liter version of the base engine. Available upscale features include an electronically adjustable suspension, panoramic sunroof, lane-keep assist, an automatic parallel parking system, and a hands-free tailgate that opens with a swipe of the driver’s foot underneath the rear bumper. MKC’s unique styling and high-class accouterments help justify its price premium over a Ford Escape, and give it a distinctive upscale character. In terms of driving personality, the MKC isn’t quite as sporty as many of its rivals in the premium-compact-SUV class, but since it delivers well on its luxury aspirations, most of its target audience won’t mind.